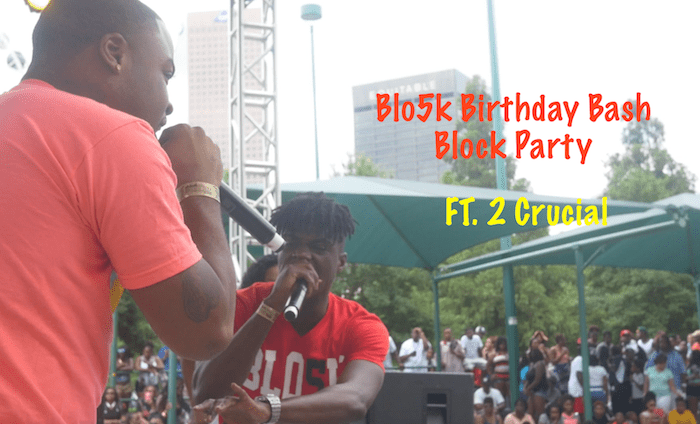 Hip Hop duos Blo5k & 2 Crucial linked up today at Centennial Park to premiere their track, “Savages”, at this years block party. Both groups have been making noise in their respectable lanes throughout the city. Blo5k is working on their third project, “Blo5k Muzik 2”, which is set to release next month and 2 Crucial is busy setting trends with their new single “I Set Trends” which is produced by Jermaine Durpi & Bryan Michael Cox.